True full-duplex acoustic echo cancellation under a wide dynamic range of audio levels. Adaptive Digital’s HD Acoustic Echo Canceller (HD AEC™) is a High Definition, Multi-Mic Capable, Full-Duplex Acoustic Echo Cancellation algorithm which includes noise reduction (NR), as well as anti-howling, adaptive filtering, nonlinear processing, and double-talk detection. It supports bandwidths from 8 kHz. (Narrowband-NB) to 48 kHz. (Full-Band-FB). Female voice (ECHO) is COMPLETELY REMOVED! The acoustic echo cancellation software product provides superior voice clarity and true full-duplex performance under a wide set of challenging acoustic environments. It is capable of eliminating the acoustic echo in difficult conditions such as unbalanced speech levels, close speaker to mic proximity, indoor/outdoor environments, background noise, reflective room surface, double talk, and echo path changes. Adaptive Digital’s HD AEC acoustic echo cancellation technology can be found in a wide range of applications, like IP Intercom Systems, Conference Speakerphones for both large and small conference rooms/huddle rooms, IP Desk Phones, Mobile Handsets, Radio over IP, and essentially anywhere where voice quality is affected by adverse room conditions. Additionally, the HD AEC acoustic echo canceller is effective in improving the performance of speech recognition algorithms when operating in an echoic environments. Handles echo tails of up to 500 msec. and greater, with true full-duplex cancellation. Improves speech recognition performance in an echoic environment. ADT HD AEC is available on the above Platforms: Other configurations are available upon request. NOTE: We specify MIPS (Millions of Instructions Per Second) as MCPS (Millions of Instruction Cycles Per Second). Unless otherwise specified, peak MIPS are indicated. All Memory usage is given in units of byte. Note: MIPS generated with single mic enabled,running with on chip (internal) program and data memory only. Specifications measure on BeagleBoard-xM TI AM37x ARM Cortex-A-8 based MCU. Note: HD AEC Cortex-M4 MIPS generated with 0 wait state FLASH. Specifications measured on TI Tiva C series ARM Cortex-M4 based MCU. Note: MIPS generated with single mic enabled, and running with on chip (internal) program and data memory only. When using external source for program and data memory, MIPS increase by 3x per enabled microphone. Note: MIPS generated with AGC, NR and CNG enabled. NR2 is not turned on. *Contact Sales for 64 Bit numbers. What is your application / target equipment (VoIP, PBX, etc.)? Demo request form will put you in contact with our sales team. They will supply you with a complete list of hardware requirements. Demo/Eval agreement will be required to download the software. Thank you for your interest! Click above to view HD AEC CPU Usage and Memory Requirements: Texas Instruments’ TMS320C6000, TMS320C5000 | Arm Architectures (v5, v6, v7-A/R, Armv7E-M, Armv8-A, Armv8-R) | Linux 32-bit/64-bit | Windows x86 / x64. Adaptive Digital Technologies’ high definition acoustic echo canceller (HD AEC), has integrated Noise Reduction and AGC into its AEC algorithm and created appropriate hooks to make them work together seamlessly. Noise Reduction is done pre-NLP, resulting in a far cleaner audio stream feeding into the non-linear processor. By making the AGC aware of the AEC state, we can avoid having the AGC becoming a cause of howling. Changes in gain can adversely affect an AEC; Adaptive Digital’s HD AEC has the ability to adapt to changes in the acoustic path (including gain/loss changes.) And when the changes are known, like in the case of controlled gain changes, Adaptive Digital’s HD AEC has hooks that enable the application to tell it the nature of the gain change so it can adjust immediately rather than take time to reconverge. 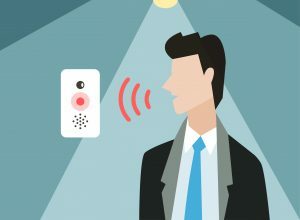 Automatic Gain Control (AGC) is provided to help boost lower level speech signals in hands-free environments. The AGC algorithm is used to automatically adjust the speech level of an audio signal so that the level falls within a user-defined output level range. Howling can occur when there is a full-duplex communication link with echo at both ends. These echo, or coupling, paths create feedback loops. In full-duplex communication systems where, by definition, both communication paths are open at all time, howling can be a serious issue. With Anti-howling enabled the HD AEC identifies when instability is starting to occur and takes action to mitigate the instance of feedback looping. HD AEC electronically removes both direct coupling and reflected echo, enabling true full-duplex hands-free telephony. Convergence time is the time it takes the echo cancel algorithm to analyze the signal. This number can never be “0” as analyzing the signal is a critical part of the echo cancellation process. Adaptive Digital’s HD AEC analyses the signal in as finite a period as is possible to best develop the echo model, and then cancels the echo immediately. Superior Double-talk performance. Double talk occurs when the speech of two talkers overlap causing the audio signals to arrive simultaneously at the echo canceller. Detection of double-talk is vital to the performance of an acoustic echo canceller. Single-microphone is used in most applications. Multi-microphone is used in applications such as high-end conference phones that make use of multiple microphones that are placed around conference room table. Dual-microphone with noise reduction is used in devices that have a primary microphone to capture speech and a secondary microphone that is used to measure background noise. The figure below is a simplified block diagram of the HD Acoustic Echo Canceller. The top half of the diagram shows the receive signal path, or the signal path from the telephone network to the speaker. The bottom half of the diagram shows the transmit signal path from the microphone toward the telephone network. The HD AEC cancels the echo that occurs between the speaker output and the microphone input. The terms Rx (Receive) and Tx (Transmit) may be confusing at first because both the receive and transmit paths have inputs and outputs. The names receive and transmit are used from the point-of-view of the person at the speaker/microphone side.The RxIn signal coming from the network is fed into the RxNLP (Receive Nonlinear Processor). Under difficult acoustic conditions, the RxNLP can improve full-duplex operation and hence the overall voice quality.The output of the RxNLP is fed both to the transmit output (TxOut) and into the bulk delay block. The bulk delay block compensates for the buffering delay at the RxOut and TxIn interfaces as well as any other non-acoustic system delays in the path between RxOut and TxIn. The output of the bulk delay is fed to the adaptive filter.The adaptive filter estimates the echo and subtracts it from the TxIn signal to form the residual signal.The residual signal is fed to the noise reduction block. This noise reduction block removes background noise and therefore improves the signal to noise ratio of the transmit signal.The adaptive filter works in conjunction with the bulk delay monitor, which monitors and adjusts bulk delay in situations where the bulk delay is unknown due non-deterministic audio drivers.The output of the noise reduction block is fed into an equalizer. The equalizer is used to flatten out the frequency response of the transmit channel. This may be necessary due to the acoustics of the hands-free device and due to the characteristics of the microphone itself.The output of the transmit equalizer is fed into the transmit non-linear processor (TxNLP). The TxNLP increases the echo attenuation by attenuating the residual by a variable amount based upon the talk state. 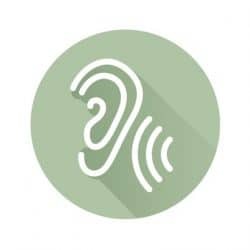 The TxNLP block also includes a comfort noise generator.Automatic Gain Control (AGC) is provided to help boost lower level speech signals in hands-free environments. The compute gain block computes the AGC gain. The output of the TxNLP is fed into the AGC gain block, which provides gain or loss depending upon the residual signal level. The output of the AGC is fed to the TxOut output of the AEC.In the multi-microphone case, there is still a single receive path but there is one transmit path per microphone. In the case of multi-microphone noise reduction, there is a single receive path, a complete transmit path for the primary microphone, and a partial transmit path for the secondary microphone. In this case, there are two transmit inputs (one for each microphone) but only one transmit output containing the echo cancelled and noise reduced signal. "We have made significant changes to our core algorithm in order to boost efficiency. HD AEC operate in a higher audio bandwidth. We have improved implementation by simplifying and providing straight forward API." Even in challenging conditions such as unbalanced speech levels, close speaker to mic proximity, background noise, double talk, and echo path changes, AEC HD achieves good full-duplex performance. Bi-directional NLP: Handles unbalanced speech levels of more than 18dB apart. Achieves full-duplex performance even in close mic to speaker proximity: Automatic gain and level controls adjust levels automatically. High Echo Return Loss (ERL) ratio: Ability to handle long tail lengths, speaker to microphone loss/gain, and feedback. Enhanced double-talk detection /double-talk handling. Fast reconvergence: Ability to adjust for echo path changes which can occur when someone moves inside the room, passes an object across the table, or enters or exits the room. AEC_ADT_control(…) Modify AEC parameters. Obtain status.